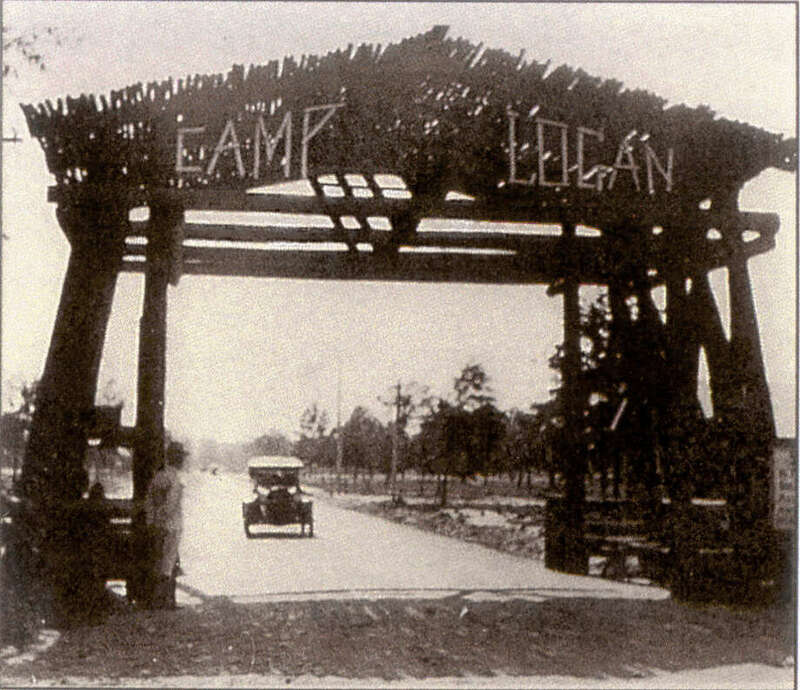 Photograph, Picture of the entrance to Camp Logan circa 1917. Image available on the Internet and included in accordance with Title 17 U.S.C. Section 107. CAMP LOGAN. Camp Logan, an emergency training center in World War I, was earlier a National Guard camp just beyond the western city limits of Houston. Construction of the center began on July 24, 1917. In the Houston Riot of 1917, trouble between local police and black soldiers quartered at the camp resulted in a riot on August 23 and the declaration of martial law in Houston. The camp was used for hospitalization of wounded men in 1918. At the close of the war the site was acquired by William C. Hogg and his brother, Mike, who turned over to the city of Houston, at cost, more than 1,000 acres. Memorial Park, the city's largest recreational area, is on the site. Robert V. Haynes, A Night of Violence: The Houston Riot of 1917 (Baton Rouge: Louisiana State University Press, 1976). WPA Writers Program, Houston (Houston: Anson Jones, 1942). Handbook of Texas Online, Claudia Hazlewood, "CAMP LOGAN," accessed April 25, 2019, http://www.tshaonline.org/handbook/online/articles/qcc26.